The State and National Democratic Conventions are coming up! Join with us in the process of nominating our candidate for President. Here we will provide for you the details about supporting or becoming a Delegate or an Alternate. How does it work? In a nutshell, the process works from the bottom up. Voters elect State Delegates, and then the State Delegates meet for a Convention to elect Virginia’s Delegates to the Democratic National Convention. Those National Delegates will meet in Philadelphia to nominate our Presidential candidate. Click the image on the right for an infographic demonstrating how the process works. 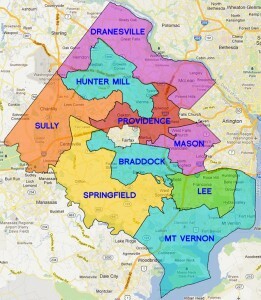 Filing forms: the pre-filing deadline for State Delegate or Alternate has passed but you can still be voted on at your Congressional District convention to fill any vacancies in the district. Forms will be available soon. Timeline: The following dates indicate key points in the process based on currently available information. Some information might change so please check here regularly for updates. 4/14/2016 7:00pm County & City Absentee Voting for Caucuses. For Fairfax County, absentee voting is at FCDC Headquarters 8500 Executive Park Ave. Suite 402, Fairfax, VA 22031. 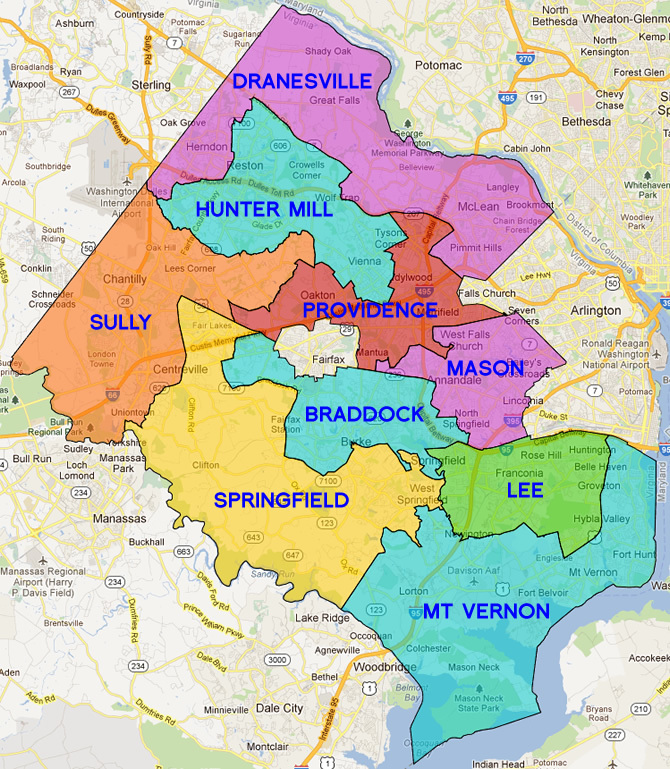 5/14/2016 Congressional District Conventions (8th, 10th & 11th Districts.) Voting is open to State Delegates. 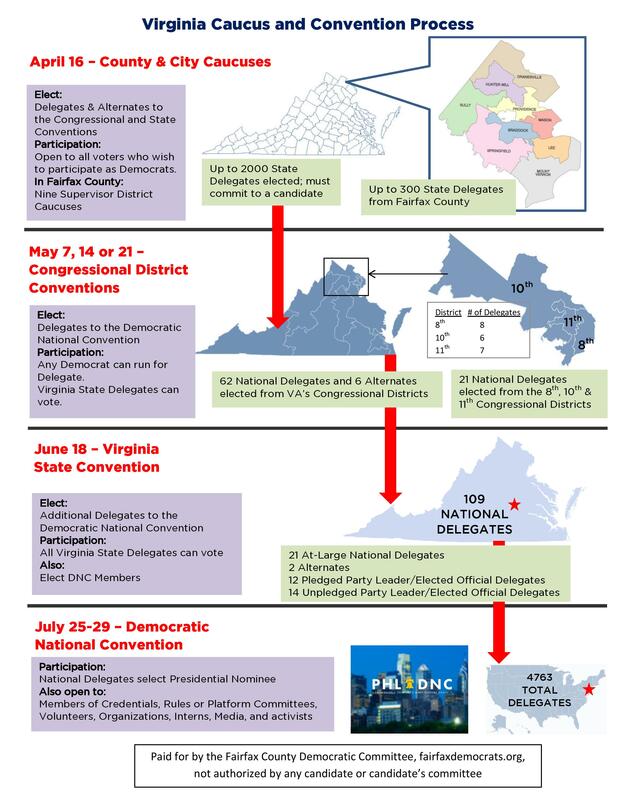 Democratic Party of Virginia Delegate Selection Plan – contains most of the rules governing this process. Updates on convention dates and more will be posted here when they are available. Feel free to contact us at (703) 573-6811 or email info@fairfaxdemocrats.org if you need any assistance.